To the Editor: Oskarsson and colleagues reported a subgroup analysis of a study of “flash glucose monitoring”, using the FreeStyle Libre system . However, the study design is circular and inherently biased, and there is an elephant in the room. 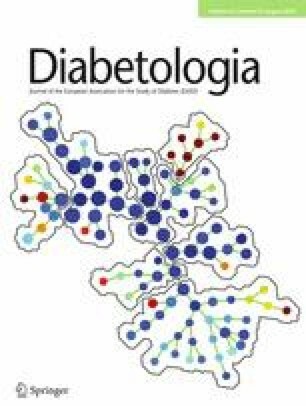 The study is circular because the intervention and main outcome were essentially the same: flash glucose monitoring. The primary outcome was time in hypoglycaemia, as determined by FreeStyle Libre during 14 day periods at baseline and 6 months. Participants in the intervention group used FreeStyle Libre throughout the study and could obtain flash glucose readings during the final 14 day period and adjust their blood glucose control accordingly. Participants in the control group used standard capillary glucose monitoring and wore a blinded FreeStyle Libre during the final 14 day period . It would be extremely surprising if individuals who could see their flash glucose levels did not keep them in target more effectively than blinded individuals! The elephant is the accuracy of FreeStyle Libre. To consider the extremes, if it were perfectly accurate then the circular design would not matter, but if it were very inaccurate then the reported time in hypoglycaemia would be meaningless. No accuracy data were provided by Oskarsson et al . Bailey and colleagues  compared FreeStyle Libre flash glucose with capillary glucose measured by the Libre handset. For readings below 5.5 mmol/l (100 mg/dl), a mean absolute difference (MAD) of ~0.6 mmol/l (11.0–11.3 mg/dl) was reported. The MAD for flash glucose vs laboratory reference venous glucose was ~0.7 mmol/l (12.6–13.4 mg/dl). MAD was not specifically reported for hypoglycaemic readings. However, flash glucose was more accurate when glucose levels were not low or rapidly changing (MAD ~0.55 mmol/l [10.2–10.3 mg/dl]). From this, it is inferred that when blood glucose is low or changing rapidly, the MAD is ~0.7 mmol/l (12 mg/dl) against capillary glucose, and ~0.9 mmol/l (16 mg/dl) against reference venous glucose. A mean error of 0.7–0.9 mmol/l is very significant in a hypoglycaemia study (since this is the mean, larger errors will frequently occur). We can deduce the following about the study by Oskarsson et al: (1) when participants’ true blood glucose levels were near hypoglycaemia, FreeStyle Libre must have often erroneously indicated hypoglycaemia; (2) only study participants who could see their flash readings had reason to correct such erroneous hypoglycaemia; and (3) the study was biased, ensuring less time in hypoglycaemia was reported in the intervention arm due to fewer erroneous hypoglycaemia readings. We cannot tell if, or by how much, true hypoglycaemia was reduced. The headline results, based on time below 3.9 mmol/l, seem unreliable . The results based on lower flash glucose thresholds (3.1 mmol/l, 2.5 mmol/l and 2.2 mmol/l) are more reliable, but only in confirming that some degree of hypoglycaemia had occurred. For similar reasons, time below each threshold would have been skewed by erroneous flash estimates. For example, if a study participant’s true blood glucose was 3.3 mmol/l but their FreeStyle Libre reported 2.4 mmol/l, they would be likely to take more rapid and aggressive action to correct their hypo. Studies like this require externally valid outcomes. Possibilities include HbA1c (which was not different between the intervention and control group in this study), or severe hypoglycaemia (not different between groups, but was rare). Questionnaire-derived findings were a mixed bag, with improvements in treatment satisfaction and perceived glucose control, but no improvement in diabetes distress, hypoglycaemia fear or overall quality of life . I have seen people with diabetes who have done very well with FreeStyle Libre monitors, and others who found them unhelpful, or did not use them effectively. It is likely that better evidence is required to justify widespread health service funding for this technology. The author was the sole contributor to this letter.